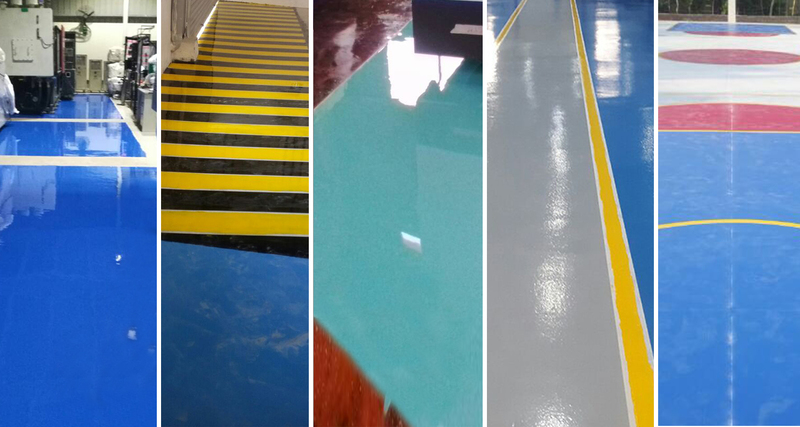 Manufacturer of a wide range of products which include epoxy tile grout adhere bonds, tiles grouting, tiles epoxy grout, epoxy tile joint filler, tiles joint filler and joint filler. Tiles Grouting offered comprises services of experienced professionals for flawlessly handling of tile grouting services. 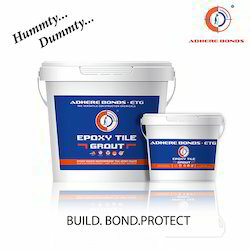 Tiles Grout Epoxy offered comprises grout providing for chemical resistant usage. Color Grey, Black, Blue, etc. The versatile, durable, hygienic, hard-wearing, impermeable, epoxy based tile joint grout with high degree of resistant to chemical attack, abrasion and impact, does not permit the entry of bacteria or dirt and is easily maintained in a sterile condition for interior and exterior, for hospitals, laboratories, laundries, kitchens, dairies, breweries, distilleries,refrigated rooms, toilets, bathrooms, swimming pools, car wash bays etc. Is a highly quality fine, water-resistant cement based powder grouting compound designed for grouting glazed wall tiles, mosaic,vitrified and fully vitrified tiles, ceramic floor tiles,industrial floor tiles etc. Where chemical resistant is important use our adhere bond ctg. Joint Filler offered provide for stain resistant usage. 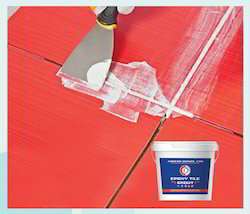 Epoxy Tiles Grout offered is suitable for filling tile joints in tiled areas where cleanliness is of high importance. 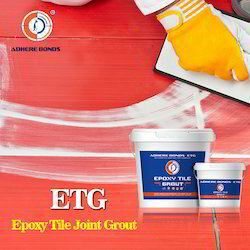 Epoxy Grout Application offered finds application suitability for filling tile joints of ceramic tile. ADHERE RTG Sanded Grout is a Tile grout consisting of a carefully blended mix of Portland Cement, graded aggregates and color-fast pigments. Designed for use with ADHERE TGL Grout admix for optimum performance. 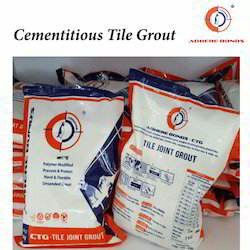 It is suitable for non-absorbent & vitreous type tiles for grout joints 3-10mm.The grout with the grout admix provides a grout joint that is dense, hard and durable, color fast and less water absorbent. Available in a full range of architectural colors. 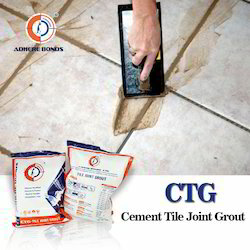 Adhere RTG Wide is cementitious tile joint filler for wider joints of non porous , pavement tiles . It filles wider gap without cracking & shrinking when mixed with Adhere RTG Wide Additive. It is a factory prepared mix of Portland cement, aggregates & pigments which provide washable & long lasting color.